The beauty about botanical elements is that it will never go out of style. Year and year, it’s at the forefront of design, crafts, and everything in between. To top it off, there’s something so comforting about plant life. It doesn’t even matter if you don’t have a green thumb; incorporating it into your projects can be super easy. Personally, I love the lifelong nature of faux plants. 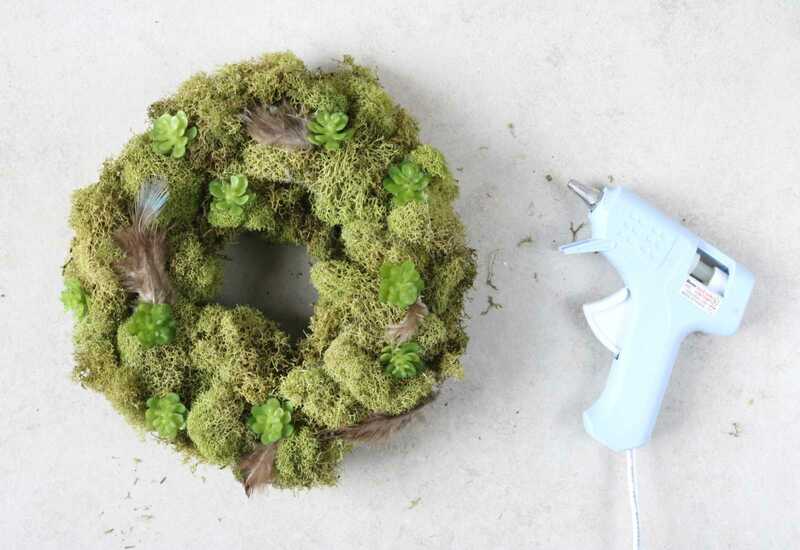 So when I discovered a garland of baby faux succulents, I knew I had to use it in a project. 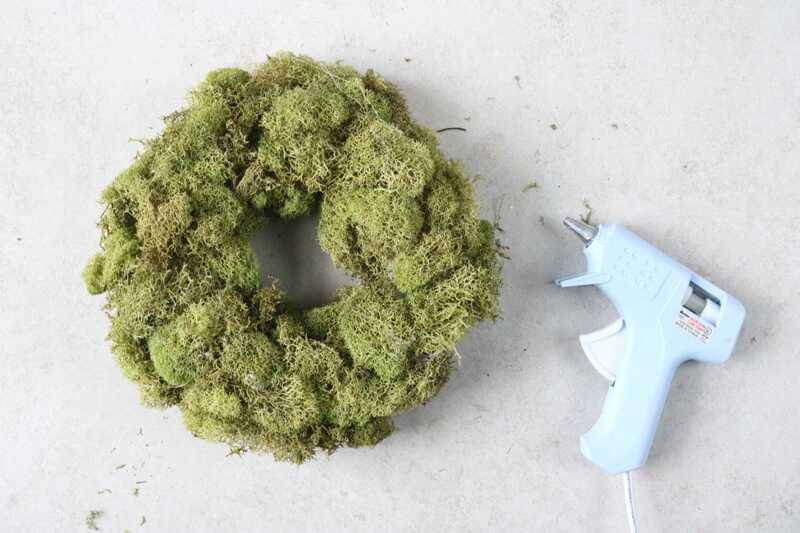 Paired with preserved reindeer moss and some hot glue action, the two can come together to create a lush wreath. Feathers can also be used to create a natural, earthy vibe. And while it may seem like a spring-appropriate wreath, I’ll be definitely be hanging this up all year round. The wreath form can be whatever size you’d like. I used a small 6-inch Styrofoam form; it’s perfect for small spaces! 1. 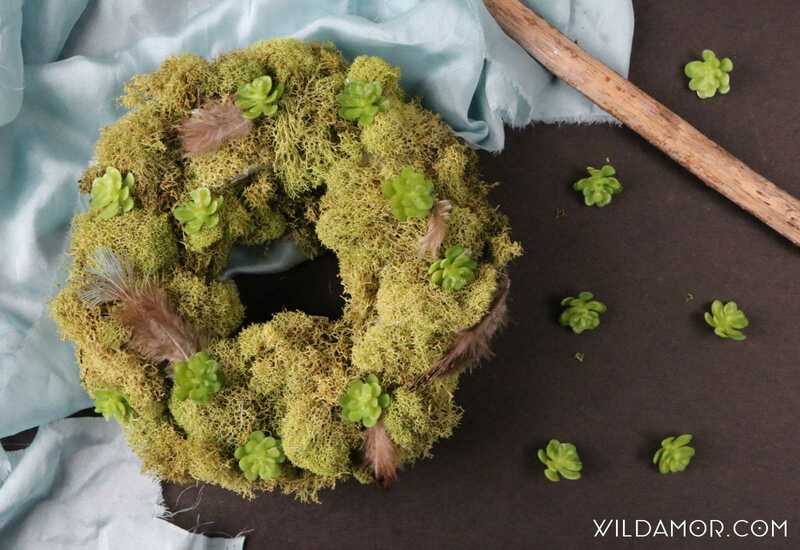 Add clumps of reindeer moss to the wreath form. While you can use any type of preserved moss, I prefer the lushness of this kind. Not only does it add awesome depth and texture, but it is especially easy to glue to things. Other types of mosses tend to fall apart and separate, offering less protection for your fingers. 2. 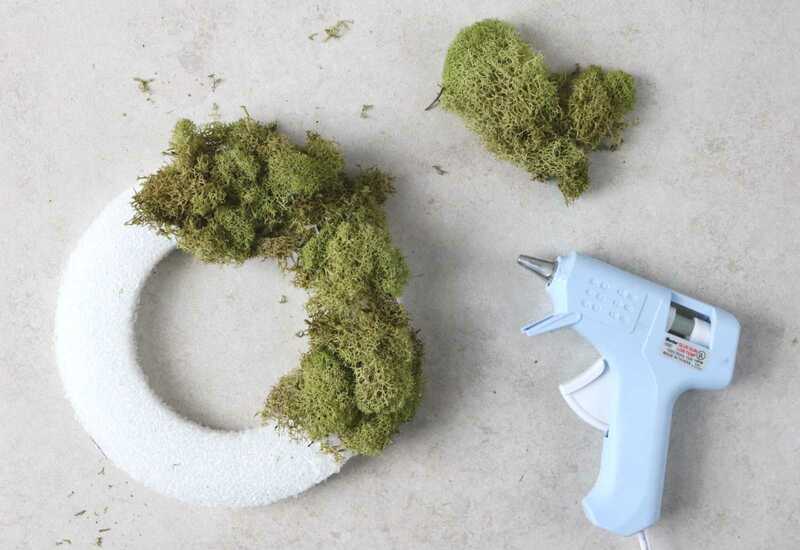 Continue gluing moss. Don’t forget the back side and outer/inner edges. 3. Remove the small succulents from the garland. If your succulents are on stems, snip them off with pliers. 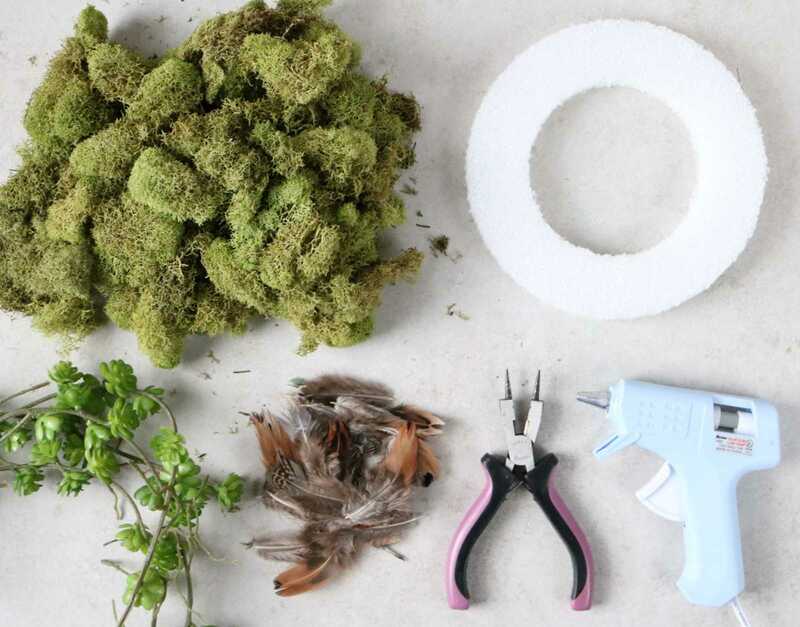 Glue them to the wreath, adding a feather here and there. This is a simple one that can be done in an afternoon; I love the way these elements look together. And can we just talk about those miniature succulents? Too cute.